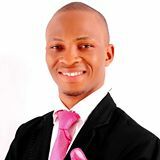 This is an interview with Dennis Isong – the fifth in our Nigerian Internet Entrepreneur Spotlight series. The first spotlight was on Dayo Edunjobi. The second spotlight was on Adebola Oni. The third spotlight was on Babajide Ogunsanya, the fourth was on Desmond Ufuoma Okosi . This is the fifth, go through it and wait for the sixth. My name is Dennis Isong from Akwa Ibom State, still young and dynamic. An IT Consultant and also a Professional Web Developer/Programmer. That was in 2007, I started from website design which is my key area still now before I later decided to cover more grounds by including web hosting, information marketing and rendering some other services on the internet. Yes,I expected it to be more than this but am still moving and I have not gotten to my desire goal yet, just watch out and see. Dennis,I must use this opportunity. I appreciate your kindness. They will continue to bless you. You have never ever ceased to inspire me. Great Job. Thank you very much for this incredible free online training. I’m with you all the way. I’m very much impressed by your generosity, Dennis. I’ve taken a cue from you. You’re too much! Nice content ,keep up the good job,the good Lord will continue to reward you. This is a great information, i have use this info before and its seriously works deadly cheap. Mr.Dennis Isong you have done great job giving this info out free. I have just download the day topic, so interesting, also I will send 500 bulk sms from my database for others to participate and patronise your reliable service [the best reliable webhost in nigeria]. I only joined this forum today and I want to say, I am priviledged to be here. You are one in a million, and I am excited that there are still some Nigerians who believe they can make positive changes in the lives of other people who are ready to take their destiny in their hands. More grease to your elbow and I pray continued success for you in all your endeavour. These are just the few thank you note receive this month alone. MMON: Yes, you right about that. I am one of the beneficiaries of your forum. My username on your forum is Maven. I also knew when you started the forum. MMON: Yeap… about that book, I remember you told me about it and I did a review about it before you made it public. Sell your service, product and Affiliate product. MMON: What kind of tools do you think you would need to make your online business better? Yes, there are many projects on the pipeline. Just join my forum so that you can always get the update. MMON: Ok. Dennis let me put this directly to you. 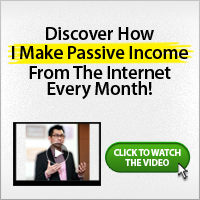 How easy is it to earn legitimate income on the Internet? I can see that you are really enjoying your business. Firstly, integrity is it. Secondly, you need to have something to offer (good product or service), thirdly, a good marketing system. If you have these three things in place, it will be easy for you. MMON: Where do you see the Internet business in Nigeria going in the next 5 years? The truth is, in the next five years if any business do not have Internet presence, they will close down. MMON: Now, your final word for Nigerian youth. Dennis: There is no short cut in life and also there is no short Internet business. Don’t be carried away by all these Internet gimmicks (make$$$$$$ in one second). You need to build it, it will not happen over night. I want to leave you with these four corner stones of personal greatness. You need these four corner stones to succeed. Firstly, seek the right KNOWLEDGE from the right source (action takers not talkers). Secondly, Take ACTION. Thirdly, PERSEVERE. It might take time but it will work. Lastly, have FAITH….believe in what you are doing… See you at the top. MMON: Wow… Good points to abide by. Dennis, thanks for granting us this interview. I really appreciate it.